The New Mexico Philharmonic Orchestra is Albuquerque's professional symphony orchestra, bringing classical and contemporary music to audiences since 2011. The New Mexico Philharmonic's Executive Director is Marian Tanau. The Romanian-born Tanau has played the violin since the age of four, and he is the founder, president and executive director of the American Romanian Music Festival. The New Mexico Philharmonic Orchestra's begins its 2015-2016 season September 26. The New Mexico Philharmonic rotates concerts with guest conductors. Performances begin at 6 p.m. unless noted otherwise. Tickets can be purchased online or by calling UNM Ticket services at (505) 925-5858. They can also be purchased at UNM ticketing offices. The Pops concerts feature popular tunes from movies and special shows. All Pops shows are at 6 p.m. at Popejoy Hall. The classical music series features guest conductors and special guests. The concerts take place at 6 p.m. at Popejoy Hall. The New Mexico Philharmonic will perform at the National Hispanic Cultural Center for four Sunday afternoon concerts. Concerts take place at 2 p.m. unless otherwise noted. Neighborhood concerts take place in small venues around Albuquerque. David Felberg, conductor, Handel's Messiah, at Central United Methodist Church, Friday, December 4 at 7 p.m.
Matthew Greer conducts, Quintessence choral artists sing Bach and Mendelssohn, Friday, February 12 at 7 p.m. The orchestra will also perform some post-season concerts at the Zoo. Information will be posted as it is announced. The Philharmonic musicians were in the New Mexico Symphony Orchestra (NMSO) until it filed for bankruptcy on May 10, 2011. Like many national orchestras, the economic times have created changes in the classical music world, but as in other cities, restructuring has allowed for new organizations to be born. The NMSO had been an orchestra for 77 years. 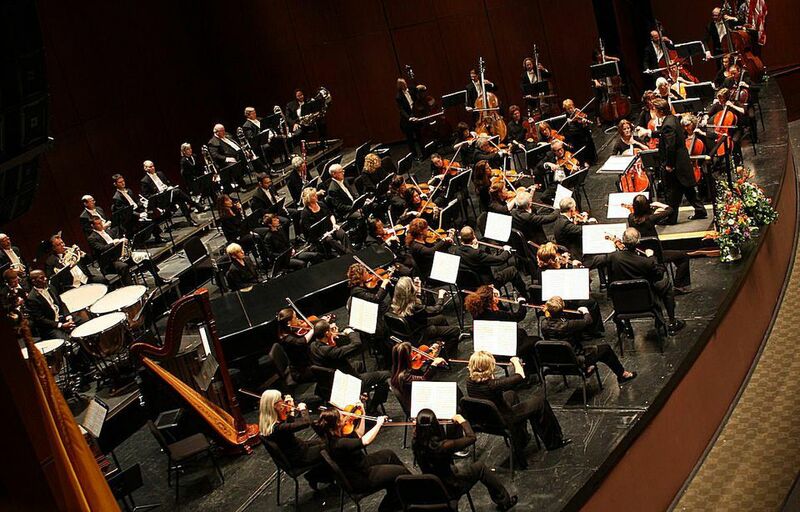 The musicians of the former NMSO announced the formation of a new orchestra, the New Mexico Philharmonic (NMP) on May 11, 2011, one day after the NMSO board legally filed for bankruptcy. The NMP is a non-profit organization. The Symphony Audience Association of New Mexico has been instrumental in helping the NMP get its start. On April 30, 2011, their Popejoy Hall concert "Ode to Joy: Celebrating Symphonic Music in New Mexico" sold out. A fundraising gala at the downtown KiMo Theatre on May 27, 2011. A full evening concert at the Albuquerque Zoo on May 28, 2011. Funds from the events and efforts of the musicians and audience association have since made the purchase of the NMSO music library a possibility. The music library is an orchestra's main asset, and the music contained the markings and notes made by musicians in earlier performances. The continuity provides a rich history for the musicians. The library contains over 1,100 works which range from pops and standard repertoire to more obscure works and commissions. Having the library allows the NMP to have a head start on creating musical performances. With its library in place, the NMP has announced it is ready to begin its first season of performances. Albuquerque welcomes them back to the stage. The New Mexico Philharmonic is a non-profit corporation recognized as a charitable 501c(3); contributions are tax-deductible as allowed by the IRS. To learn more about upcoming performances or to become a volunteer, visit the NM Philharmonic's website.